press to exit project space, in cooperation with apexart Fellowship Program, from the period of 17 of October till 15 of November, is hosting Jacob Severn, who ives and works in New York. Jacob Severn is a poet and visual artist. His writing and artwork deal with representation, mediated experience, concealment, expiration, and ephemerality. 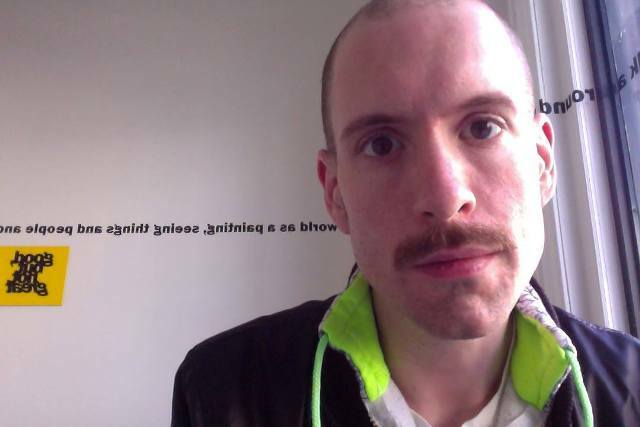 In Seattle, he founded the art space Healthy Times Fun Club. He is the co-founder of Kimberly-Klark, a project space in Ridgewood, Queens. He edits the micropress Snacks, Inc. and the digital ephemeral literature site HARIBO. He holds an MFA in Creative Writing from The New School in New York City. Born outside Seattle in 1982, Jacob now lives with the educator Rebecca Severn in New York. He loves standard poodles and the Goodyear Blimp. The apexart Fellowship is an alternative educational program that invites individuals to leave their familiar surroundings for a month-long stay in a foreign country. The program recognizes the necessity of time for contemplation in the creative process and Fellows are asked to consider their stay as a break from their professional life. In lieu of applying the pressure of production and career promotion, apexart’s program provides a more introspective and academic alternative that encourages Fellows to take a step back to consider, interpret, and discuss artistic work and practices. Fellows are asked to keep a journal for the duration of their program and to participate in a recorded discussion at the end of their fellowship.